It’s our last Member Appreciation Week of the year and our vendors are celebrating with some great discounts for our Market Members! Bring your card with you this weekend to access the great list of savings below. 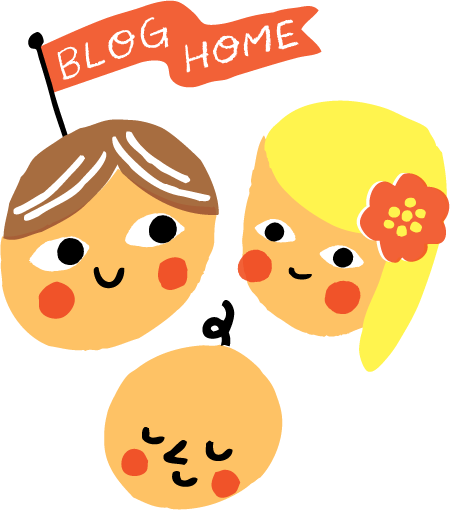 PLUS – not a member yet, or need to renew? We’re offering new and renewing members a $5 Market Money token when they sign up this weekend! Visit the Market Info Booth at Riley Park or Hastings Park for more info. 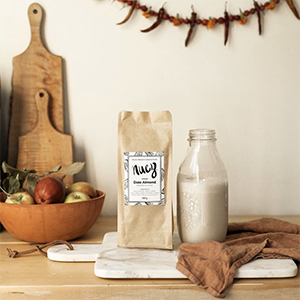 Nuez Milk & Pure Earth Superfoods – $50 off cases of 10 nutmilk concentrate packs – $150 (reg $200), and $24 off cases of 12 x 500ml or 750ml ferments. Pre-orders are required at this link. Pick up at Riley Park on Dec 1 & 8. Golden West Farms – Organic ambrosia apple juice, 946ml – $3.50 (reg $4). Available at Riley Park and Hastings Park. Odd Society Spirits – $2 off 750ml bottles of East Van Vodka and Wallflower Gin. Available at Hastings Park. 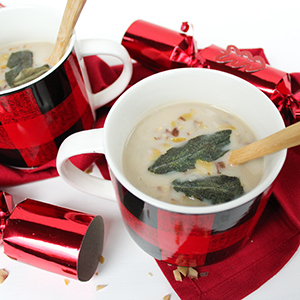 Kiki’s Kitchen – $1 off any soup or entree, including their Holiday Line-up, featuring Roasted Chesnut & Celeriac Soup, Roasted Pumpkin with Apple & Sage Soup, Savoury Lentils with Walnuts & Cranberries, and Vegan Tourtiere. Available at Riley Park and Hastings Park. Rockweld Farm – Make yourself some chicken soup this weekend! Chicken backs are buy one get one free at Riley Park and Hastings Park. 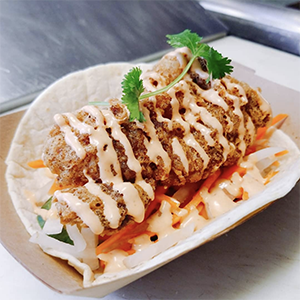 H2 Eats – 2 tacos for $10 – choose marinated pork, lemongrass chicken, or tofu. Available at Hastings Park. Hui’s Farm – 50 cents off trays of organic oyster and pom pom mushrooms. Available at Riley Park. Jobst-hof Orchard – Dried and pitted balaton tart cherries, $7/100gm. $2 off bottles of tart cherry juice and $1 off bottles of black cherry or grape juice. Available at Riley Park. Lita’s Mexican Foods – $1 off Fresh Taco Meal Deal – includes 1 pack organic flour tortillas, 8oz. salsa, and 8oz. vegan filling. Available at Riley Park and Hastings Park. 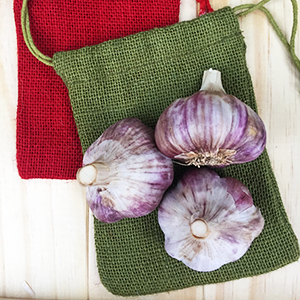 BC Garlic Growers – free small garlic storage bag with the purchase of $10 or more, an extra bulb of large garlic for purchases of $20 or more, and 20% off on all purchases of small size garlic. Available at Riley Park and Hastings Park. Stapleton Sausage Co. – 10% off any purchase. Available at Riley Park. Cedar Isle Farm – $1 off bags of cold-rolled or steel-cut organic oats, grown in the Fraser Valley! Available at Hastings Park. 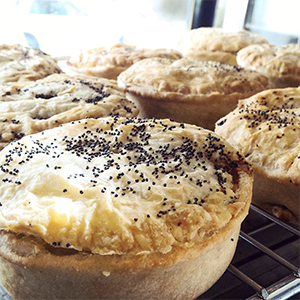 Aussie Pie Guy – $2 off box of 4 pies, mix and match flavours. Available at Riley Park. 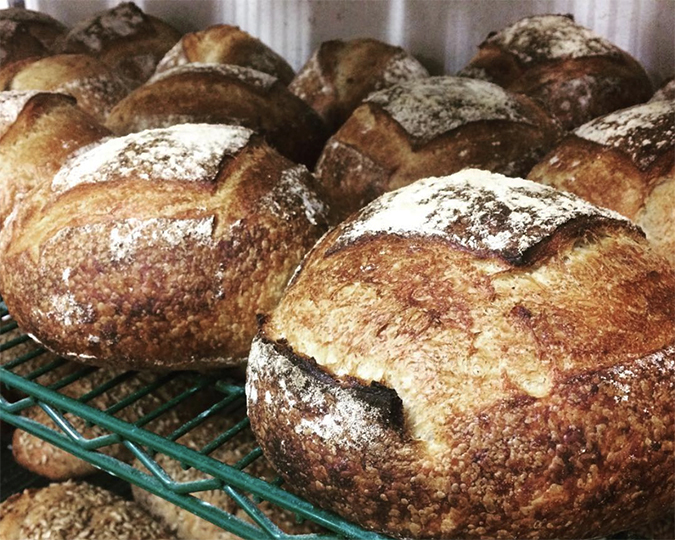 Sweet Thea Bakery – $1 off any hearth bread. Available at Riley Park and Hastings Park. Nina’s Pierogi – $1 off bags of frozen pierogi, any flavour. Gluten-free options available.Available at Riley Park and Hastings Park. Coconama Chocolates – $1 off 10 pc. cups of chocolate, any flavour. Available at Riley Park. VFM Direct – 20% off purchases of $10 or more. Available at Hastings Park. Vancouver Farmers Markets is a community-based non-profit organization – proceeds raised from our Membership Program provide much needed support for our operations. More info on our Membership Program at this link.